More unannounced teases from Capcom. Dengeki PlayStation this week features a questionnaire with 107 game developers, including the director of Dragon’s Dogma, producer of its Dark Arisen expansion, and the producer of the Sengoku Basara series. 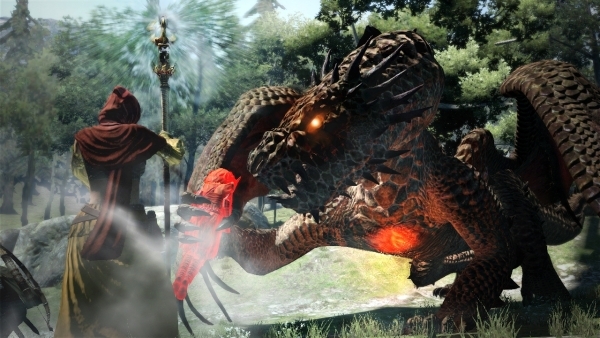 It might be worth noting that Dragon’s Dogma Online was trademarked last week, and there was an interesting news post at the game’s official site last week (which was since removed).